Today I want to talk to you about chia seeds! I freakin’ love these little powerhouse seeds because they are SO nutrient dense and easy to enjoy in a multitude of ways. I’m constantly sprinkling them on things for myself and my toddler! Read on to learn WHY I love them, HOW to use them and one of my favorite recipes. HIGH in nutrients, LOW in calories… making them quite the superfood! They are also great for weight loss. Get in the nutrients without “worrying” that you’re eating too many calories. High in fiber. 1oz contains 10g of fiber! Did you know that eating at least 25g (the recommended daily amount) can help boost your metabolism by 30%!? Fiber is also important because it helps regulate blood sugar levels and keeps inflammation at bay- two VERY important things for your health! High protein and who doesn’t like that? Protein helps with digestion, energy, mood lifting, hormone balancing and more. It’s another great tool for weight loss. 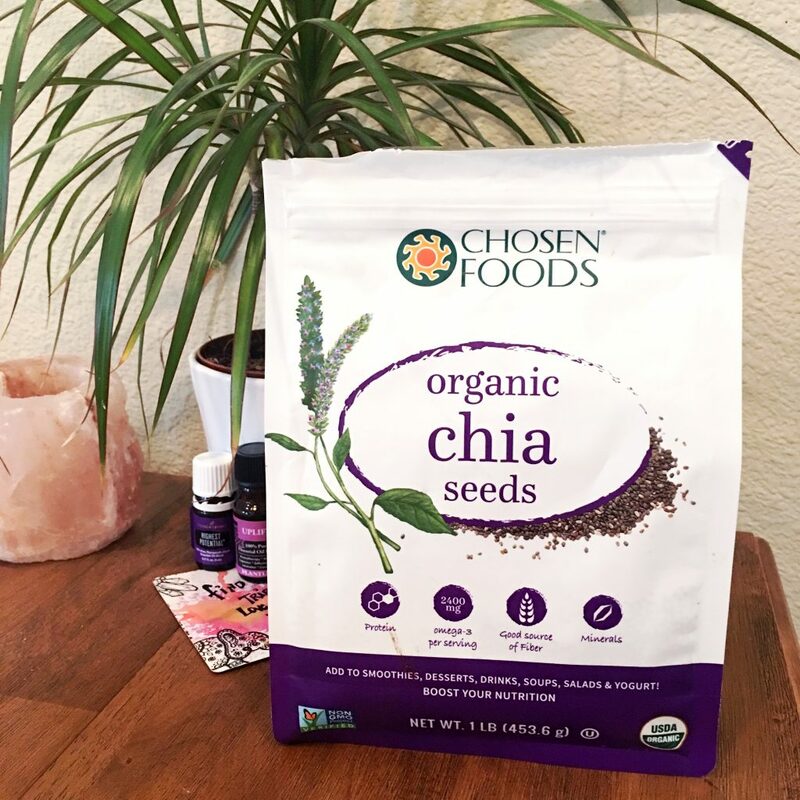 1oz of chia seeds contains about 5g of fiber which may not sound like a lot but it’s an easy way to sneak in more without really noticing (or adding calories and carbs). Low carb because most the carbohydrates in chai seeds are fiber which are body does not digest. 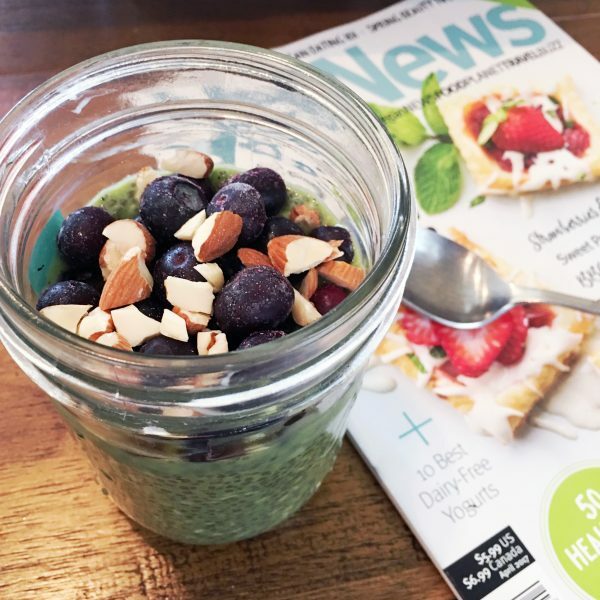 So if you’re trying to keeps carbs down, chia seeds are your friend! Rich in omega-3 fatty acids. What food do you think of when you hear “omega 3’s”?? Salmon?? Well, chia seeds actually contain more omega 3’s per gram than salmon does! Omega 3’s help fight inflammation (and chronic inflammation is what leads to most diseases in the Western world!). They can also help improve your mood and reduce fat in the liver! If you’re pregnant, eating more omega 3’s has a very positive effect on your baby! Last but certainly not least, chia seeds contain lots of antioxidants. Antioxidants fight off free radicals which can damage our cells and contribute to ageing and diseases like cancer. So yeah, antioxidants are great! We all want to do our best to prevent diseases right? Chia seeds are an easy way to help do that. 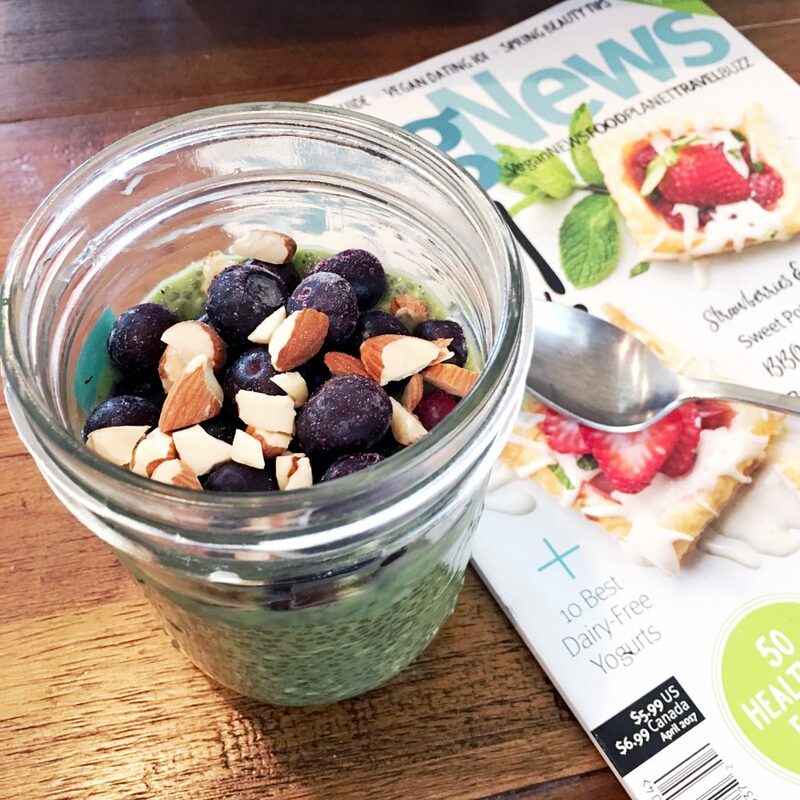 My favourite ways to enjoy chia seeds (all vegan)…. Place all of the ingredients in a bowl and whisk to combine. Place the bowl in the fridge for at least 6 hours so the chia seeds can absorb some of the liquid. The easiest way to do this is overnight! Whisk the ingredients once more after 6+ hours and let sit for another 10-15min then serve. If it already seems thick enough, you can skip this step and just eat! If you make this deliciousness, share it on social media and tag @liftinglettuce so I can see!